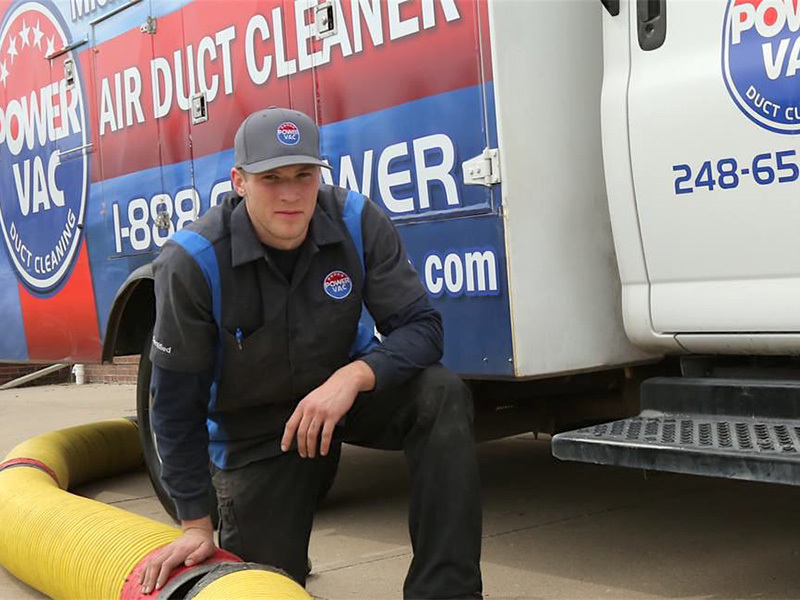 Power Vac Duct Cleaning is Michigan’s most leading family owned and operated air duct cleaning company. The founders, Keith and April Meadows are always available to ensure a good experience – before, during and after your cleaning. We understand every family can benefit from a thorough cleaning. From eliminating constant dust issues to helping alleviate allergies and asthma, we keep our prices low so everyone can afford to benefit from having their ductwork cleaned professionally. We are not interested in being the largest company around, we want to be the best. It’s no wonder why we have been voted Michigan’s most trusted air duct cleaner year after year! Power Vac Offers a Simple Solution! With 20+ years experience, more five star ratings than any of our competitors and a highly trained staff, Power Vac is the company you can trust to clean and maintain your home's ductwork and you can trust that Power Vac will satisfy any questions or concerns that you may have before, during and after your cleaning. 1. Pricing - Based on your homes square footage, we'll give you an exact price right over the phone. 2. Service - Right on time, our certified team will arrive at your home in our giant vacuum truck. 3. Satisfaction - You can rest easy knowing your ductwork is free of contaminants.